Stars Perform For Sold-Out Audience At BROADWAY BELTS FOR PFF! 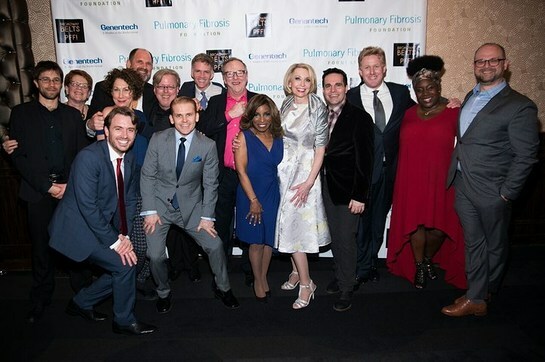 The Pulmonary Fibrosis Foundation (PFF) announced that the 7th annual BROADWAY BELTS FOR PFF! raised a record-breaking $250,000 (a 35% increase over the previous year’s revenue). 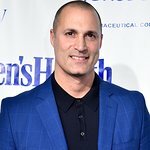 The event, an exclusive fundraiser at New York City’s Edison Ballroom, was hosted by Broadway star and comedienne Julie Halston and featured Grammy and Tony Award winners on Monday, February 27. BROADWAY BELTS FOR PFF! was co-founded by Halston, an award-winning actress whose notable roles include THE BABYLON LINE, GYPSY, YOU CAN’T TAKE IT WITH YOU and MURDER ON THE ORIENT EXPRESS. As a leading advocate for the PFF, Halston and her husband Ralph Howard co-created the event after their friend, Associated Press theater critic Michael Kuchwara, passed away from pulmonary fibrosis (PF). Coincidentally, Howard was subsequently diagnosed with PF and successfully underwent lung transplantation. Broadway stars belted their favorite hits under the direction of Carl Andress (THE DIVINE SISTER) with Christopher McGovern (CAGNEY) as Musical Director, Greg Santos as Stage Manager and produced by D. Michael Dvorchak, Sue Frost (COME FROM AWAY) and Ed Windels. This year’s performers included Grammy-winner Stephanie Mills (THE WIZ), Orfeh (Tony-nominee for LEGALLY BLONDE), Lucas Steele (NATASHA, PIERRE & THE GREAT COMET OF 1812), NBC’s Gus Rosendale (“WEEKEND TODAY IN NEW YORK”), Stephanie J. Block (FALSETTOS, and Tony-nominee for THE MYSTERY OF EDWIN DROOD), Mandy Gonzalez (HAMILTON, IN THE HEIGHTS), Mario Cantone (“THE VIEW”), Robert Creighton (CAGNEY), and Tony-winner Randy Graff (CITY OF ANGELS, THE BABYLON LINE). The proceeds from the show are donated to the PFF’s work aimed at finding a cure for pulmonary fibrosis, a devastating and relentless group of progressive diseases that result in scarring of the lungs. Presently, there is no cure for PF.